Blog (weblog) is a website that consists of posts with information on a related topic. Here posts are displayed in chronological order. You can discuss many topics with the help of blogging. Before 2009, people used to write the blog on a single topic by an individual or sometimes by a group. But now as technology evolved number has increased. Many people write the blog on same topic and professionals edit them. These are known as “multi-author blog”. 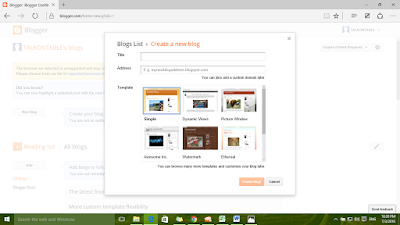 To start blogging in Blogger.com, you need an account in Blogger.com. You can open one with Gmail email id. To open Gmail account you can visit here. 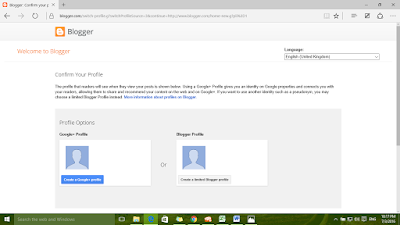 Now open www.blogger.com and select your Gmail account. Now put your password there. Next is, confirm your profile. 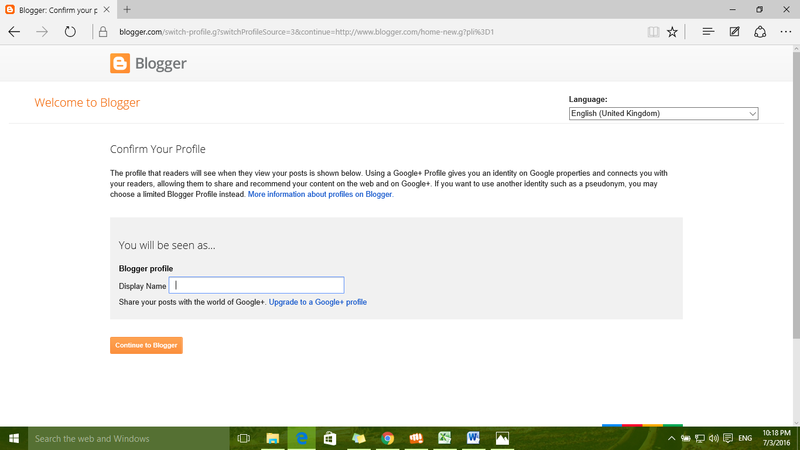 Here you can select between Google + Profile and Blogger Profile. The profile that readers will see when they view your post is shown below. 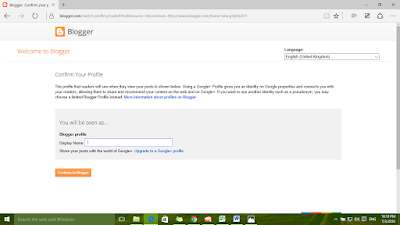 Using a Google + Profile gives you an identity on Google properties and connects you with your readers, allowing them to share and recommend your content on the web and on the Google +. 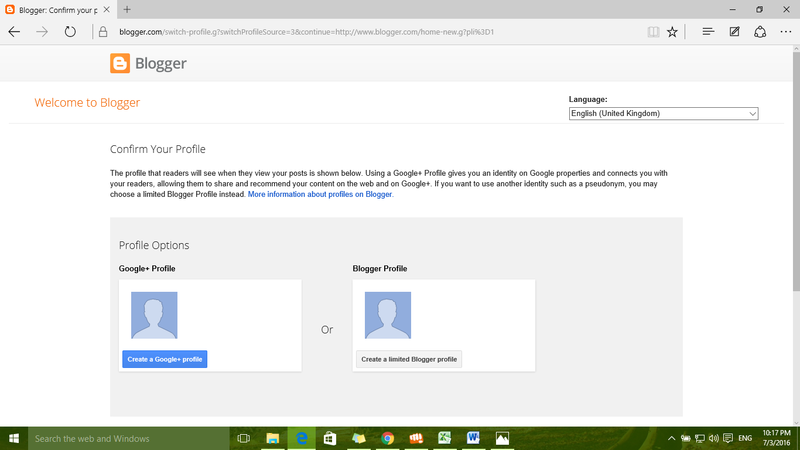 If you want to use another identity such as a pseudonym, you may choose a limited blogger profile instead. After that, you need to give your name. This name will be shown below your posts. Click on Continue to Blogger. Here you will find many options, click on New Blog. Below picture will appear. 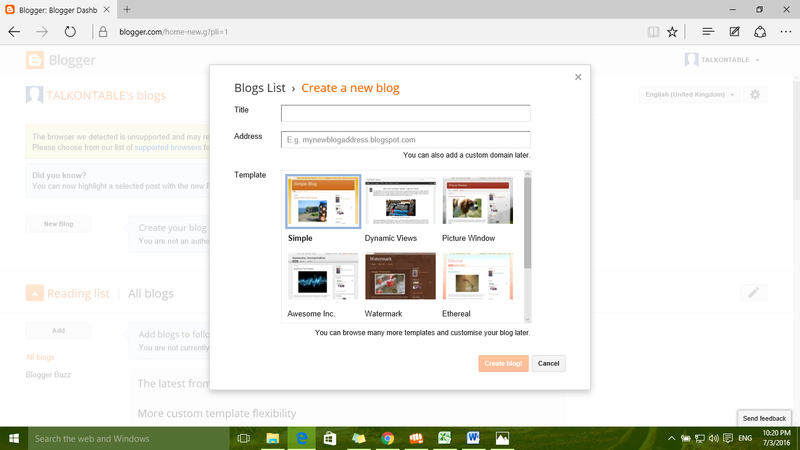 Provide your Blog title and Address. Address, a web address from where your blog can be seen. Like – www.talkontable.com. Click on create New blog. Now the blog is ready. You may like How to set lock screen, theme and start menu in Windows 10.